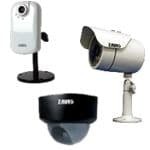 The Zavio CamGraba NVR software allows users to manage and record the data of their Zavio IP cameras on the local network. The instructions in this article explain how to export the recorded video data to a USB thumb-drive or DVD. Once the video data has been exported, users are then able to play it back on a PC. This can be very useful in the event that an incident occurs and needs to be escalated to the proper authorities. The instructions below explain how to export and playback video data on the Zavio CamGraba NVR software. 5. The status menu below should appear indicating that the backup was initiated.